Pottermore, the online component to the Wizarding World of Harry Potter, now lets muggles and wizards alike discover what their Patronus is through a quiz. For those not in the know (how could you not be? 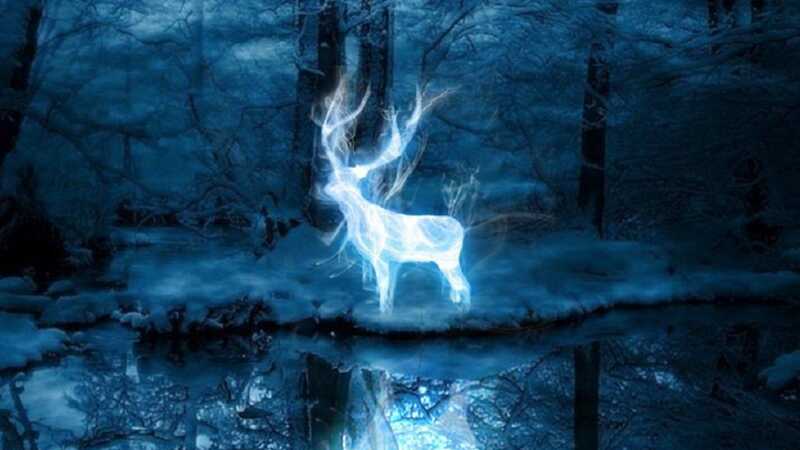 ), a Patronus is a magical guardian that is a projection of all of your most positive feelings. The famous, ancient and mysterious charm is one of the most difficult and powerful defensive charms in the wizarding world. It effectively allows casters to produce an almost tangible ‘spirit guardian’ that is able to protect them from Dementors and Lethifolds (creatures from which there is no other defense). Naturally, one’s Patronus is quite special and, most of the time, rather unique. 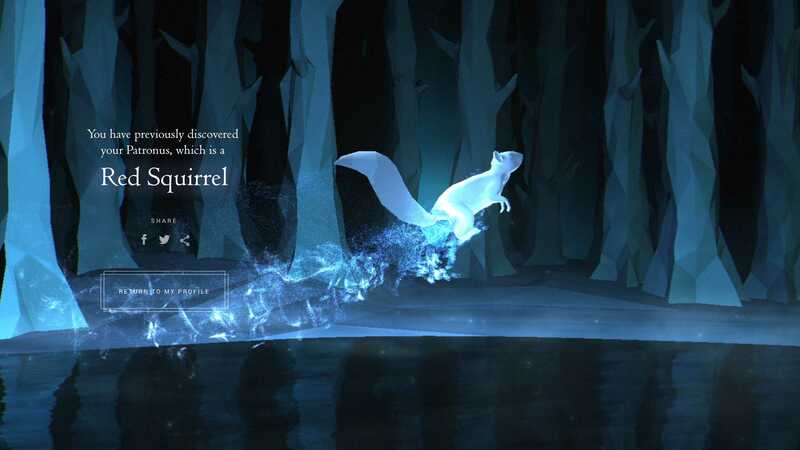 Pottermore has made it nice and easy to determine and cast your very own enigmatic Patronus. The new quiz leads users through a Forbidden Forest, where they must listen to ominous music whilst being prompted to select words from a series of choices. Eventually, users are guided to an ethereal body of water and given the option to produce their Patronus. As with all of the other quizzes on Pottermore, the results are permanent. Although the quiz has apparently been approved by J.K. Rowling, I do get the feeling that the results are more likely randomized than actually influenced by the given answers. As such, you might be lucky enough to obtain a rare magical Patronus like a Unicorn or Hippogryff. Then again, you may very well end up with something more muggle worthy like a dog, mouse or, like me, a Red Squirrel (FML). I think I need a butter beer. According to the books, the Patronus is always an animal. This animal is meant to be one that is linked to the caster in some way. Harry’s Patronus, for example, is a stag, just like his father, James. Professor Snape’s was a doe, because of how much he loved Harry’s mother, Lily. Given this revelation, I really have no idea how a tiny nut eating little rodent personifies me at all. My alleged Patronus aside, the ability to discover one’s ‘spirit guardian’ is the latest addition to Pottermore, which also allows users to be sorted into the UK and USA wizarding schools, and to even choose a magic wand. Did you also get a muggle worthy animal or is yours majestic and magical? Let us know in the comments below.